This great Currawong has cruised the coast, raced the twilight races and sailed the weekends on Lake Macquarie. 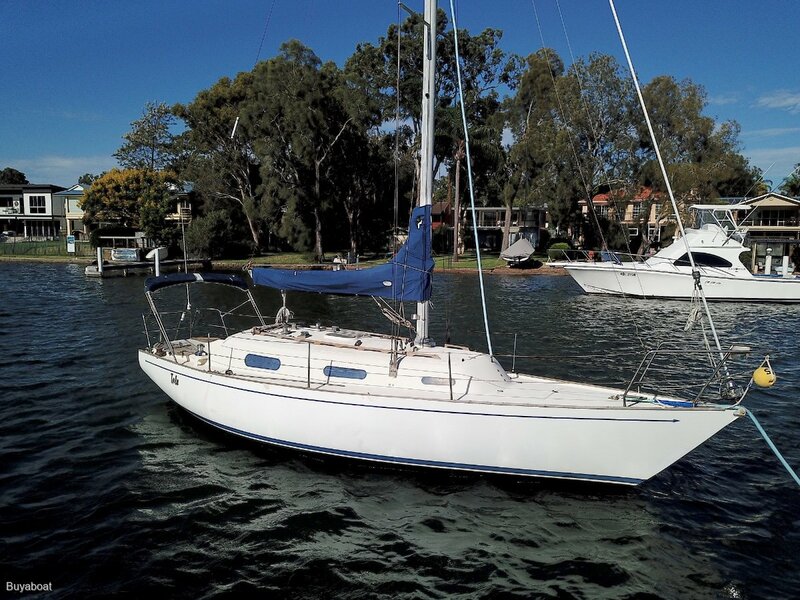 She has a New Yanmar engine in 2008, Beautiful to sail, run windward like a dream, easy to sail. She has 6 berths, toilet great little galley. Just been antifouled. Port side, Metho stove, Top load fridge Utec, single stainless sink. Bimini Cover and sail cover. Manual anchor, chain rope fenders and lines. Heaps of winches. Boat mooring hook, boat ladder, stainless BBQ. A neat tidy great sailer. Heaps of bunks. Grab the mates or family and hit the water.